I would apologize for not posting in a while if I were sorry, but I'm not, so I won't. My wife and I were on a road trip for the last couple of weeks that took us through eight states and two countries. Needless to say, it was a welcome break from the blogosphere. P. Andrew Sandlin leads us "toward a Catholic Calvinism." The Florida Baptist Truth Project was formed in response to the blatant Calvinist-bashing going on in the SBC. "The goal of this Project is to distribute the DVD Amazing Grace: The History and Theology of Calvinism to every pastor within the Florida Baptist Convention." By the way, if you haven't seen this DVD, order it today. Chad is a Calvinist, but that does not define who he is. He warns us not to let Calvinism become a distraction from the gospel and reminds us to "be wise in how we use Scripture to defend our beliefs, knowing that these truths from Scripture are never divorced from their redemptive-historical setting in which they are first given and then later developed." Despite the fact that Calvinists and Arminians disagree on who has the final say in salvation (remember, Arminians believe that sinful man has the inherent ability to accept or reject God), Peter Lumpkins insists that both theological camps are pretty much equal when it comes to embracing God's Sovereignty. And if I had to guess, I would say that Mr. Lumpkins probably owns this t-shirt. Earl, blogging at MetaSchema, has begun what should be an interesting series of posts on the topic of limited atonement. Ergun Caner is The Calvinator. His mission: stop the Westminster Assembly of Divines and put an end to Calvinism forever! 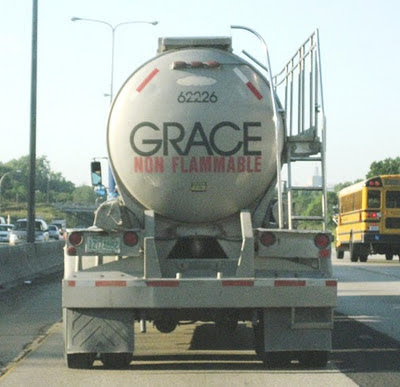 Hank, over at Think Wink, is answering some objections to the doctrines of grace that he has encountered over the last couple of years. On this edition of the Narrow Mind, Gene Cook and his guest, Jonathan Goundry, discuss Covenant Theology and why it presents problems for theonomists and postmillennialists. I must insist, however, that you did not read my post near so well. Evidently, neither have you read Arminianism so well either. You write :"Arminians believe that sinful man has the inherent ability to accept or reject God." Nope. Not even close, my brother Lee. Not even close. Are you saying that Arminians really don't believe in free will? If man lacks the inherent ability to choose God, then he doesn't have free will. So, how exactly am I "not even close"? As to your post ("Historic Calvinism and classical Arminianism both rightly embrace the Biblical notion of God's Sovereignty"), I merely stated that you were saying that Calvinists and Arminians are "pretty much equal when it comes to embracing God's Sovereignty." How did I not read that correctly? Thanks for the questions. As to the latter one, it really wasn't the "pretty much even" comment with which I was concerned but the presumption behind it. Namely, the "Despite the fact that Calvinists and Arminians disagree on who has the final say in salvation." I would ask you, Lee, to name one serious, evangelical Arminian theologian who advocates that anyone other than God possesses the final say in salvation. As to the former question, classic Arminianism definitively does not teach man possesses the inherent ability to choose God. Rather, it teaches every bit as strongly as classic Calvinism that human beings are dead in trepassess and sins in the sense that they cannot choose God. It is only by previenient grace working thru the Gospel that human beings receive ability to believe. James Arminius believed and taught this.